Are long-term power deals a bad deal for ratepayers? Don’t tinker with New Hampshire’s electric utility restructuring law to enable Eversource to lock customers in to a 20-year contract for Northern Pass power that the Public Utilities Commission has rejected. And especially don’t do it when it is in the middle of finally divesting itself of all other energy assets. 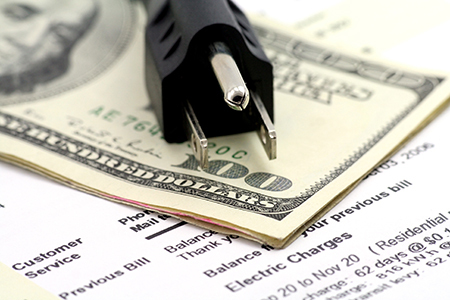 That, in so many words, was the testimony of two PUC officials, testifying at a hearing on Senate Bill 128, which would empower the body to figure out if such long-term contracts would lower rates for electric customers while minimizing stranded costs. But the PUC doesn’t want the authority to OK a long-term Power Purchase Agreement (PPA), at least at this time. When lawmakers and regulators tried to make such predictions before – whether it be the Seabrook nuclear power plant or a mercury scrubber for the coal-burning Merrimack Station power plant in Bow – ratepayers paid via stranded costs, added Anne Ross, PUC’s general counsel. That’s why the state passed the restructuring law in the first place, a law that will culminate with an auction of Eversource’s generating assets at the end of this year. But the proposed new change had plenty of support. Sen. Jeb Bradley, R-Wolfeboro, sponsor of the legislation, made it clear that it was inspired by the PUC’s recent rejection of a PPA between Eversource and Hydro-Quebec to purchase 100 megawatts of power over the proposed Northern Pass transmission lines, it was not limited to that. Indeed, before it was explicitly carved out of the bill, the bill would have allowed Eversource to enter a contract related to power from Spectra Energy’s Access Northeast gas pipeline, another contract that the PUC rejected because it would have violated the existing restructuring law. Bradley, who helped steer through the original restructuring law in 1997 when he was a state representative, argued that divestiture of generating assets and the resulting increased competition was a means to an end – lower rates. And – armed with packets of letters from businesses complaining about the high price of energy – that hasn’t happened. He said his bill wouldn’t mandate that the PUC approve the contract, but simply allow it to conduct an examination, and determine if it would lower rates without risking stranded costs or dampening competition. “We want the PUC to focus on price. Why would you keep a tool that could lower rates out of the tool box?” he said. Sen. Martha Fuller Clark, D-Portsmouth, also warned against betting ratepayers money on long-term contracts, especially with so many major changes in the world of energy, including offshore wind, storage battery technology, leaps in solar technology, decommissioning of plants, the institution of grid modernization. “We all agree our energy bills should be lower, but do you really know that is going to be accomplished with a long-term PPA?” said Clark. The Business and Industry Association of New Hampshire thought it might. So did others. The International Brotherhood of Electrical Workers testified in favor of the bill because of the jobs that it could provide. And the Office of the Consumer Advocated signed on, though it request the price of the contract be disclosed to the public. (The terms of the Eversource Hydro-Quebec PPA were redacted). But before they left, Dan Alegretti, a lobbyist for Exelon Corp., an Eversource competitor, gave a parting lecture on competition and state planning.